New this year is the Residency Program, an incubator for interdisciplinary performance in Victoria. This year 3 works were given 20 hours of studio time to research and develop, before presenting an excerpts of their work at THE SHOWCASE. The professional development portion of the festival open to the public and festival artists. 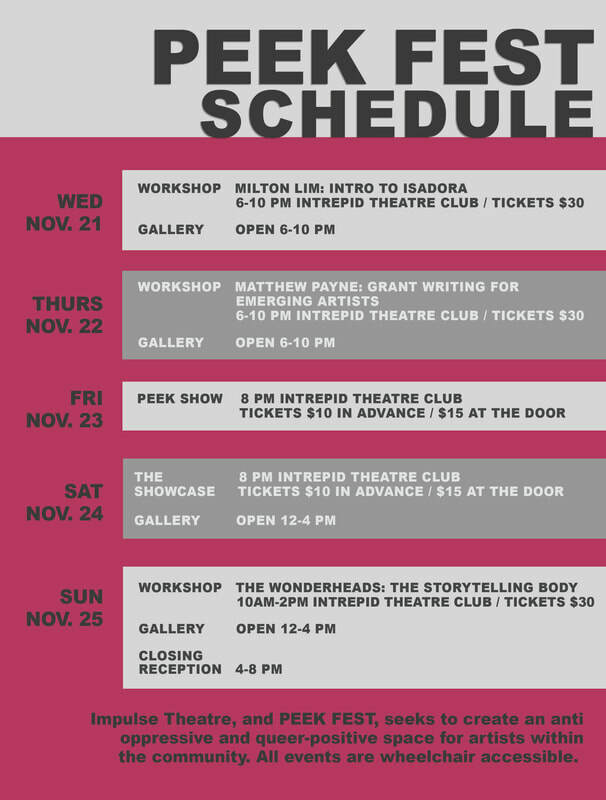 This includes three workshops by local and provincial cutting-edge performance creators! New in 2018! 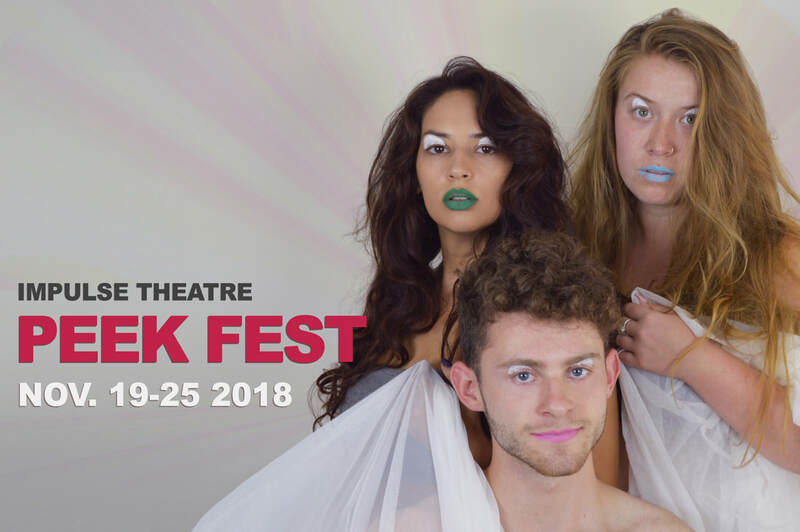 Impulse Theatre is teaming up with local artist, Laura Gildner, to curate a responsive and engaging emerging visual arts presence at this year’s festival. Join us for a reception as the festival draws to a close. Taps will be flowing, wine will be chilling, and we're going to celebrate the last day of PEEK-FEST in style!